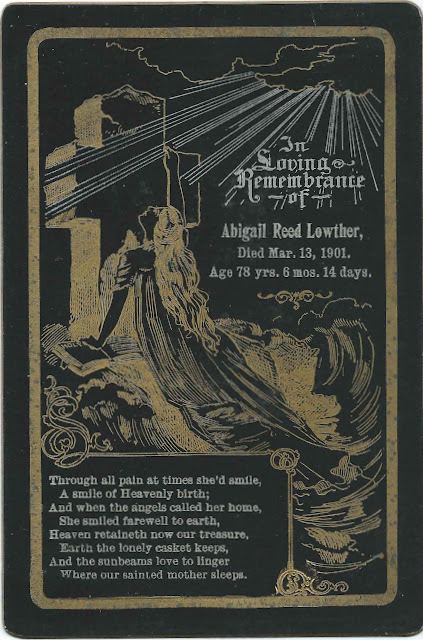 Memorial card printed in 1901 on the occasion of the death of Abigail (Reed) Lowther at the age of 78 years, 6 months and 14 days. 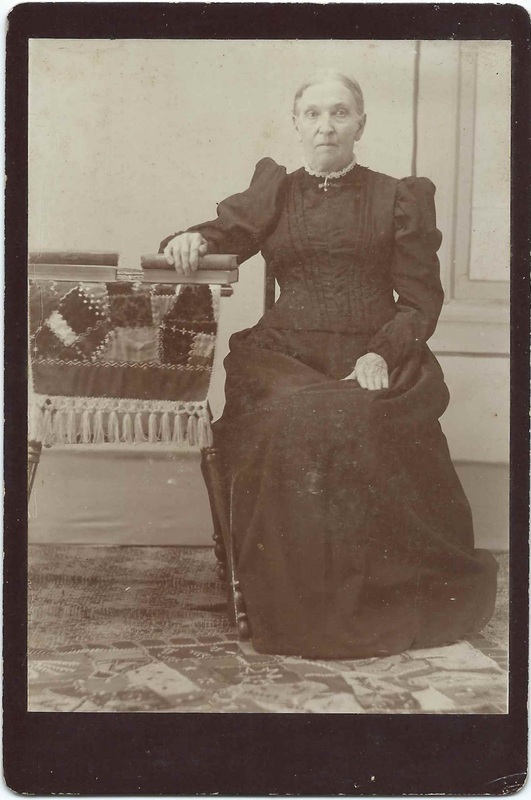 The card was found with a cabinet photograph of a woman who may or may not be Abigail herself. There's no identification or studio imprint to provide a clue. Nothing on reverse. Abigail was born August 29, 1822 in Upper Canada, the daughter of Joshua Reed and Elizabeth (Alward) Reed. At least one record has Abigail's father's name as Josiah. Additionally, an index for the 1821 Buffalo, New York, marriage of Joshua and Elizabeth has Elizabeth's maiden name as Alworth. Abigail married Lemuel E. Lowther, about 1840 if the information on her death record is correct. She and Lemuel raised their family at Knox, Ohio, or in Knox County, Ohio; and Leonidas, Michigan. It seems that at some point in the 1860s, Lemuel and Abigail parted ways. Lemuel died in 1881 and is buried in the Asbury Cemetery at Dennison, Illinois. 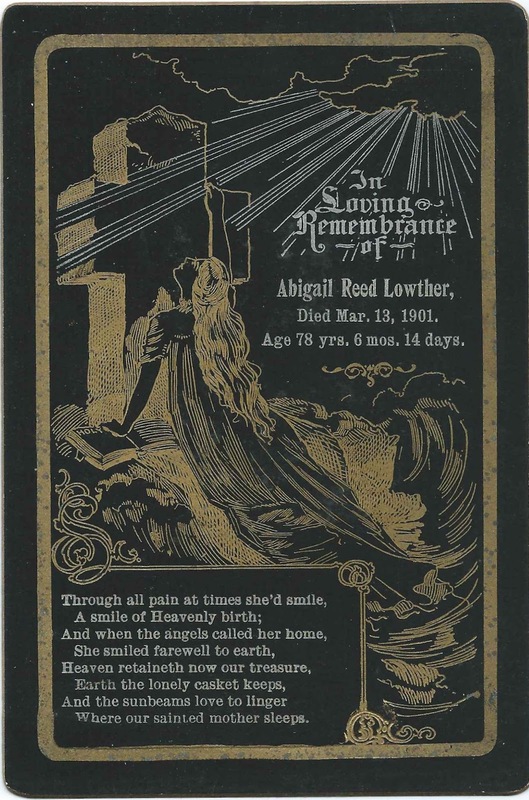 Abigail is buried in the Abscota Cemetery at Burlington, Michigan. If you have corrections and/or additions, or if your family photographs reveal that the woman in the cabinet photograph above is definitely Abigail (Reed) Lowther, please leave a comment or contact me directly.